Take to pedal power whilst on holiday in the Lake District. Escape the crowds, get off the roads and see unspoiled parts of this truly unique region. For biking enthusiasts, adrenaline junkies, couples, and families alike – the mountain trails, country lanes and endless public cycle paths will take you on some of the very best rides in the UK. Here’s our handy guide for enjoying cycling whilst on a Lake District cottage holiday. Let’s start off with what the Lake District has to offer experienced cyclists. Introducing Whinlatter and Grizedale – two of the most scenic forests in the UK. In the north, Whinlatter Forest, Keswick, is home to the longest purpose-built mountain bike trail in the Lake District. Stamina, fitness and experience are needed. Plus, rising over 1000ft above sea level it is England’s only true mountain forest. It offers thrill-seekers plenty of banked bends and downside. The Altura Trail (grade Red) at Whinlatter flows perfectly. Rising 1600 ft above Keswick, offers plenty of mountain altitude with attitude. Grizedale Forest, Hawkshead, in the south Lake District, offers experienced mountain bikers a Black route. The Black MTB Trail is a 1 km blast of jumps, berms and steep descents. The double diamond is not for the faint hearted and follow signs, watching out for the mid-run split. Both forests have stacks of more gentle routes as well. Plus you’ll find the tree top ropes of GoApe at Grizedale and the amazing 9 part WildPlay at Whinlatter. On the other cycling spectrum, cycling is a superb way for families to escape the crowds and explore parts of the Lake District not accessible by car. Plus, you can pack so much more in when travelling on wheels rather than relying on little leg power alone. Just remember to pack water and a delicious pack lunch. Hop on the ferry with your bikes, from Bowness to Ferry House. Enjoy Windermere’s quiet western shore via the Windermere Cycle Trail. Here families can ride along Windermere and take in Wray Castle. It is superb for kids as well as heading up the cycle path to the pretty car-free village of Hawkshead. Or, at Ferry House use the bike rack on the Mountain Goat shuttle bus and head straight to Hawkshead. 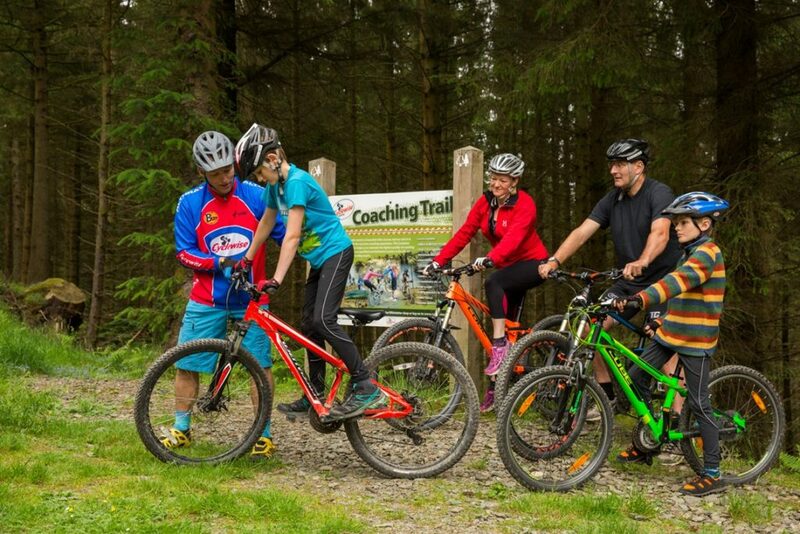 There you can enjoy a circular cycle route around the village or pass into Grizedale Forest. Here is a map to help you plan. You can hire bikes across the Lake District. There are easy routes from the main centres of Ambleside, Bowness, Hawkshead and Coniston as well as Windermere. Coniston Boat Hire is a particularly family friendly bike hire service. As well as bikes of all sizes, you can hire trailers for small children to be towed. From here, you can enjoy the popular Torver trail along Coniston. Here’s a great map for this route and others around Windermere – Easy Cycling in the South and Central Lakes. If you get a taste for cycling whilst in the lakes, head to the UK’s largest bike shop in Stavley, Windermere – Wheelbase. The Lake District’s Bike Bus service, bus number 800, runs between Windermere Railway Station (Country Lanes cycle hire also based here), up to Keswick and Whinlatter Forest in the north Lakes. And when staying in Windermere, look out for the Bike Boat, which runs between Brockhole and Windermere’s quiet western shore. Many of our properties have secure bike storage if you choose to bring your own bikes. Check out our Langdale cottages and enjoy a cycle taking in the awe-inspiring views that this dramatic craggy valley has to offer, not to miss the infamous 30% Wrynose Pass! And, how glorious does a soak in your very own private hot tub after a day atop of a saddle sound? We are very proud of our superb collection of Lake District cottages with hot tub feature. Set in tranquil gardens and looking out onto stunning Lakeland views – what more could you want from a cycling holiday. We look forward to welcoming you on a relaxing, memory filled holiday.